Whatsapp for PC - How to install Whatsapp on computer : Step by Step Tutorial | Free Pc to Phone Calls, Free Voip Calls to India International ! Viber and Whatsapp are two applications which people just love too much and want these apps on each and every device they are using. Both of them already have smartphone applications and I am assuming that you are using it on your phone. But the main question is which of the devices you use most of your time. Well I know the answer, it is your laptop. It is specially great when you use these apps on your computer itself. This way you would be connected to your friends and family all the time and you will be able to make calls and free message from your PC. Moreover if you are chatting with your girlfriend then you can chat from your laptop and your friends won't even know that you are actually chatting with your GF on Whatsapp. Isn't it cool ? 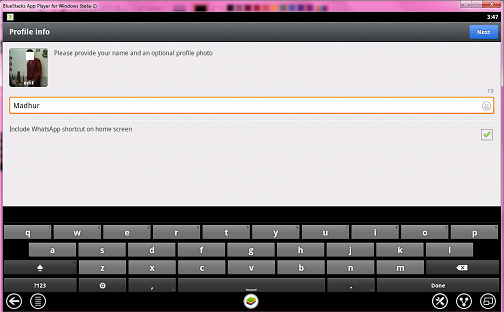 We have already covered a tutorial on installing viber app on laptop. 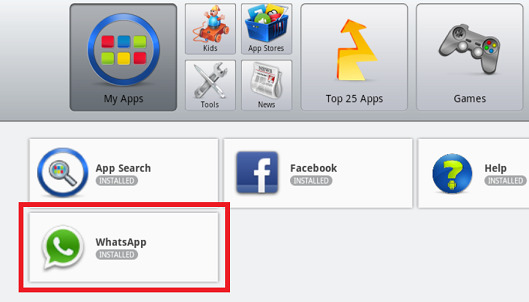 Conceptually if you follow the same steps, then you should be able to install Whatsapp on your PC as well. Anyways today we will post a step by step tutorial, following which you should be able to get Whatsapp working on your computer. We have tried to include the images as well at every step, as sometimes its more convenient to just follow the images. The good thing is, it is very straight forward tutorial and you should be get going in just few minutes! Getting the app working on your PC is quite simple. All it requires is a laptop/computer with windows installed on it. Yes, this tutorial is assuming that you are having a computer with windows based operating system (any version of windows will do the task, be it xp, vista, windows 7 or 8). I am myself following these steps and capturing images. I am trying this out on windows 7 laptop. We beleive that same steps should work on other platforms as well. 1. First you need to get android emulator on your PC. 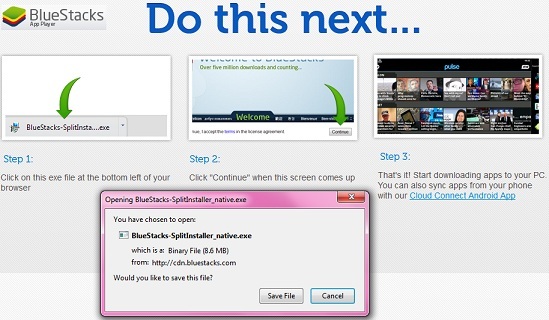 For that we would suggest you to download and install Bluestack. Click this link to download Bluestack. 2. 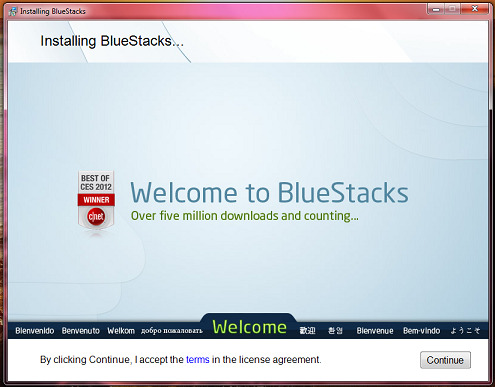 Install Bluestack (the software which you downloaded). Click continue! 3. It will by default download many apps (which are pretty good) from the app store. As shown in image below. 4. 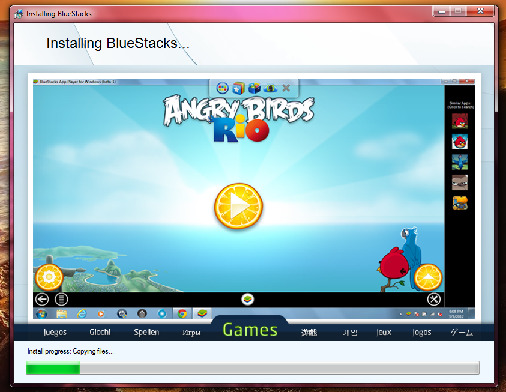 Next step is to start Bluestack on your PC. Click find icon and type "Whatsapp". 5. 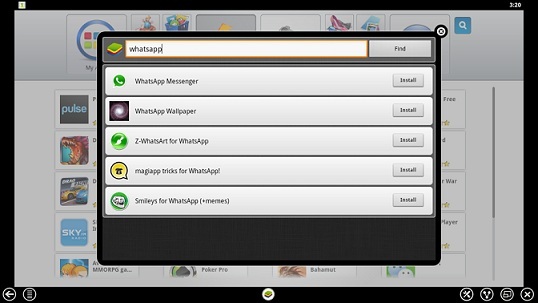 It will search for Whatsapp Messenger. Simply click Install button. 6. It will search for whatsapp and show probable option. 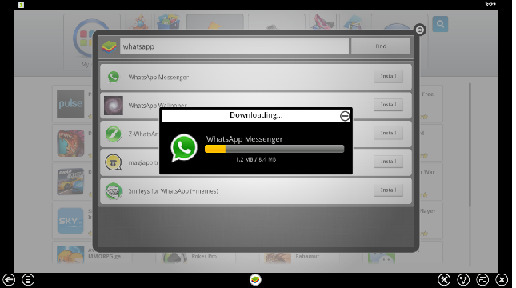 Select "Whatsapp Messanger" and click Install. 7. It will start downloading whatsapp. 8. Once downloaded, it will show in My Apps. 9. Select Whatsapp as shown in the image below. 10. Whatsapp is ready to use. Just punch in your phone number. 11. You will require a mobile to verify whatsapp. Enter your mobile number. 12. 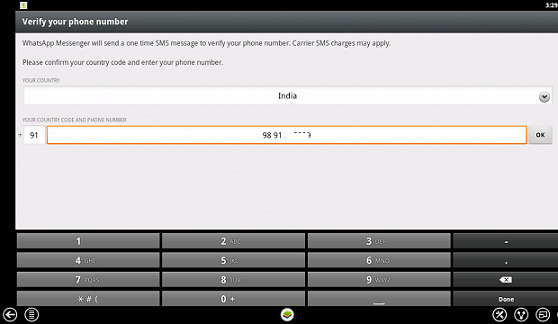 This is the most important step : Whatsapp will try to send SMS and verify. Let it do it. It will try to automatically detect the sms and verify. Offcourse you are on your laptop, so it won't detect it. 13. By now you should have received the sms on your mobile. 14. It will now ask to enter code sent on your mobile. Just enter this. 15. Now you will be asked to update profile. 16. Voilla, you will see contacts and you can start chatting with your friends on whatsapp. If you face any problem, then please share with us in the comment section. We will try our best and you should be able to get Whatsapp working on your PC. We were successfully in installing and using this on computer. We were able to send message, create new contacts and even group chat with people. It is just like you are using this app on your mobile phone. If you have a smartphone be it iPhone, Android, Blackberry or Nokia Mobile, we recommend that you use this app on your phone. We have also created a video tutorial on the same. Please check this out. when I clicked on INSTALL - it shows NO APPLICATION FOUND ,CHECK NETWORK CONNECTIVITY . I am assuming that you have completed till step6. You must be facing some internet connectivity issue here. Make sure you are connected to internet and click on install of whatsapp. Further, just to confim are you able to get any other application installed on bluestack ? grt i did load on my pc.